With a deadline looming, Republicans in the U.S. House are proposing a short-term spending plan that will avert the partial shut-down of the federal Homeland Security agency at midnight. If the deal passes the House, it will also have to pass the Senate and Republican Senator Joni Ernst says it may be a late night. Republicans in congress previously tied funding for the agency to a plan that would derail President Obama’s executive actions on immigration, but with the threat of a presidential veto, the Senate has passed a bill that makes no mention of the executive orders and would give the Homeland Security money to operate for a year. A key group of conservative Republicans in the House have balked at that idea and they’re also against the alternative House Republicans leaders have devised that would fund the agency for three more weeks. 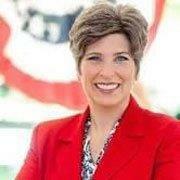 Ernst says it’s “going to take all day to find a solution” to the impasse. “What I’ve heard from Iowans, too, is another important priority is rolling back the president’s executive amnesty,” Ernst says. If the logjam isn’t broken, about 30,000 Homeland Security agency workers will be furloughed at midnight. Another 200,000 agency employees classified as “essential” staff will be required to work, without pay.